Click here for some highlights of YFS 2019. 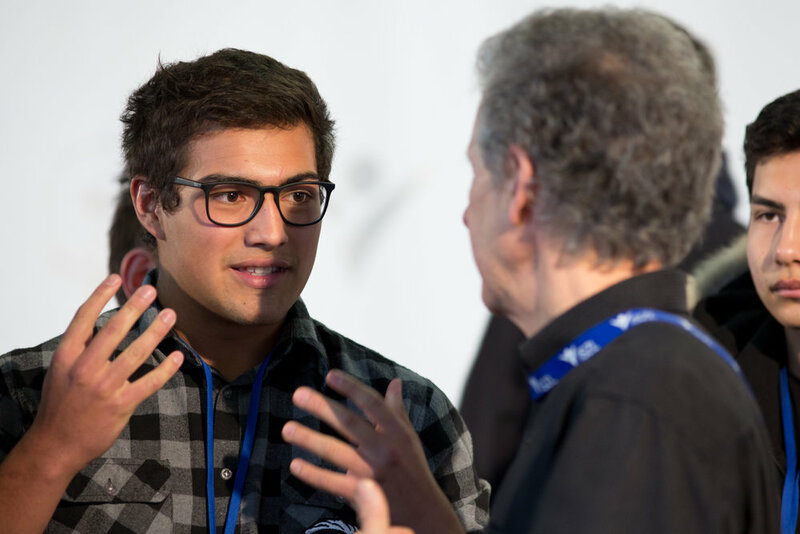 The Youth Forum Switzerland (YFS), in partnership with the International School of Zug and Luzern, is the creation of a group of globally engaged high school students, who attended the World Economic Forum's - Open Forum Davos event in January 2017. Their transformative experience inspired them to organize an event in the same spirit, with the aim of giving youth a voice in global issues in Central Switzerland. Funded by contributions from parents, teachers and other community members of our non-profit school, the Youth Forum Switzerland is a full day symposium comprising panel discussions, talks, and interactive activities centered on youth engagement in prevalent issues that will affect future generations. 30 leading changemakers from around the world attended YFS 2018. Over 600 high school students from Swiss and International Schools from across Central Switzerland attend YFS.